For over forty years, we have been designing and making furniture from solid timbers. Each piece is crafted individually, not mass-produced, and we can custom-make it to your measurements, timber choice and finishes. It is how we’ve always worked even in the beginning. We like to think that decades, and possibly even centuries – from now, your family will still be enjoying our furniture. Each of our craftsmen works on just one piece at a time, whether an entertainment unit or an armchair, and gives it their full attention. The details are precise, balanced and elegant, setting them apart from those of mass-produced items. With our furniture, you won't find features that just don't make sense. If it is a dining table for six, it means six people can dine comfortably without banging elbows. Our new luxury outdoor furniture display now open in store at the Parade, Norwood! Showcasing internationally renowned outdoor furniture brands Tribu, Manutti and Gloster featuring their exclusive European designed outdoor dining tables, chairs, coffee tables, luxury poolside sun loungers, daybeds and sofas to create your ideal outdoor living space. Absolutely delighted with the quality – We love it all! Thank you so much for the delivery of our furniture today. We were most impressed with Trevor and his assistant, with their thoroughness, with their attention to detail and with the care they took as they went about their task. Cannot speak highly enough of them. And of course we are absolutely delighted with the quality of each of the furniture items – totally up to our expectations and very much in keeping with the true traditions of the Pfitzner name. We love it all. For us, the whole process from start to finish was made so much easier and satisfying by the friendly help and professional advice from yourself and from Belinda. We have ended up with exactly what we wanted from the outset, and we are very grateful to you and to the entire Pfitzner team. We are extremely happy with the table and chairs. They fit in the room is perfect- our long deliberation on how long and how wide has turned out just right! The chairs are comfortable and the style a good choice for the room size. The Jarrah timber looks fantastic against the brick wall and we have an idea for that wall to mount a large and very old tea cup serving tray that actually came out to Australia on the Buffalo with relatives! We will proudly advertise your name and cannot speak highly enough of the outstanding customer service you and your staff provided, from day one walking into the showroom to last day with the delivery men. We certainly hope that we could return to the showroom some other day for a purchase! Just wanted to let you know how delighted we are with our Stressless recliners, they are everything they say they are, absolutely brilliant. Also the entertainment unit is fantastic, beautifully made and just what we wanted. We are really looking forward to the delivery of the sofa! The service from order to delivery with Pfitzner Furniture has been first rate and we will certainly come to you first when we need any other furniture, and will continue to recommend your business. We received the furniture. Love it. We were so excited to pick up our new Blackwood dining chairs. Starting out the only criteria we had, was that our chairs would be beautiful timber and most importantly SA made! They needed to fit with our current arrangement and transition into our future new home. And so our journey began with many questions of many people covering several kilometres from our home in Crystal Brook.. Our decision was unanimously Pfitzner. We seem to meet the family at every turn, which made it ever the more personal, to meet with the very people who have such a passion for their work. Special thanks to Belinda & Mandy at Norwood, for their time, patience & guidance. Many thanks to all the team at Pfitzner Furniture. The entire experience of purchasing our new sofa’s and dining suite was so personal and with great attention to detail. From choosing the fabric/leather and the styles and working out the minute details of wheels on the ottoman to visiting the showroom in Mt Barker to inspect the wood for our beautiful dining table. We were made to feel like more than “an order” and enjoyed meeting different people who had worked on our beautiful new furniture. Everyone in the company from the family to delivery men took great pride in the pieces created and we are now the proud recipients of this fine workmanship. Our furniture is outstanding in quality and finish and as my lovely 83 year old mother said “this is the most comfortable chair I have ever sat on”. It fits in really well, the finish on the cherry timbers look fantastic! Thanks once again to the team at Pfitzner for the excellent service, not to mention a quality product. A special mention to David, Andrew in the workshop and also Mandy at Norwood for their assistance with this project. Thank you for doing a great job with the tables. The workmanship is excellent and they look terrific on the boat. I just wanted to thank you for the wonderful job you have done on our table. I had high hopes for this unusual design but awaited its delivery with some trepidation as to whether it would meet my high expectations. I’m happy to say that it has exceeded what I was hoping for. The standard of workmanship is fantastic and the table looks great in place. I can’t wait to host the first dinner party to christen it! Nothing else seemed to “measure up”! We had not intended to buy from your store in Norwood, but having once seen the quality and workmanship of the furniture, nothing else we saw seemed to “measure up”! We wish to convey our deepest appreciation of a job well done. After experiencing less than acceptable manufactured products from other so called reputable company’s, it was a very pleasing and joyful experience to receive something that we had seen in the showroom, negotiated our requirements and then having it delivered by very understanding and helpful staff. We are very pleased with our table and chairs and the work that went into it to make every part and woodgrain match nicely. We have had many compliments from family and friends of how nice they are. Thumbs up from our very fussy graphic designer son Andrew. The tables and chairs were delivered today. They are fantastic! Thank you. The Redgum table and chairs are a treat to look at and Janine and I will obtain ongoing satisfaction from having these as part of our home. The finish is superb. The gain is beautiful. The chairs comfortable and again beautiful. Overall the table will enable us to have a house plan and living style that we were seeking (ie. simple, comfortable, practical, easy to entertain, a fine piece of furniture). Attached is a photo of the table in situ. We are delighted with your craftsmanship. The coffee and lamp tables are beautiful also – particularly the grain effect on the legs. Andrew, once again thank you. Thank you for my beautiful beds I love them and so does anyone who has seen them. I wanted to thank you for all the beautiful furniture you made for us, everything looks amazing and quality is just outstanding so thank you so much. It looks good. Very impressed by the professionalism of the delivery men had many great compliments on the table. We wish to express our appreciation for the service you have provided in the selection of our furniture. You and your family were polite and courteous and patient with us. You went to great lengths to make sure we were happy with what we purchased. The quality of your furniture is of an exceptional standard which reflects a unique elegance and beauty. It’s rare to find a company that exceeds your expectations. 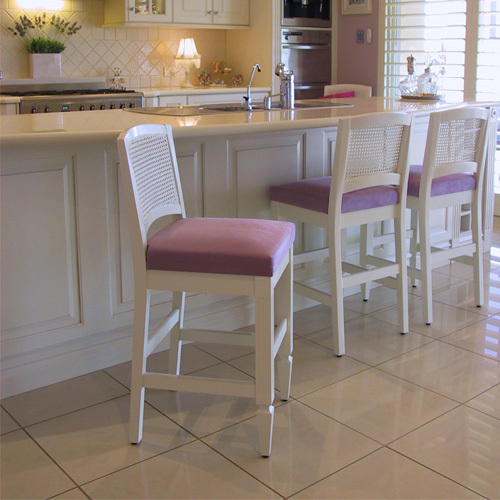 From the initial design and selection, to the delivery and installation of our furniture, Pfitzner’s craftsmanship, attention to detail and friendly service has been second to none. 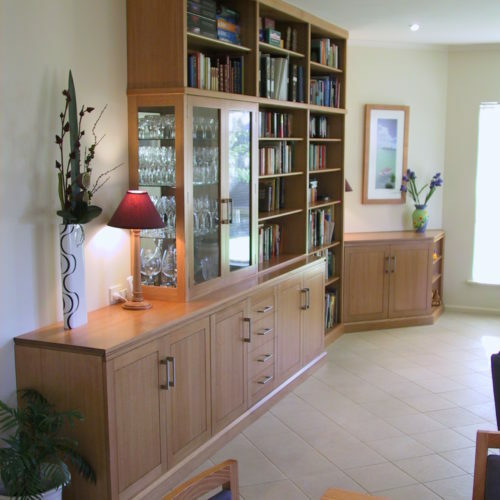 It’s a pleasure to have ‘real’ furniture in our home from a local South Australian manufacturer. When the staff and the products are equal in excellence there occurs a rare combination in retail therapy. Thank you for going the extra mile. Congratulations on 40 great years! We wish you the very best for the next 40 years also. We are delighted with our table and chairs that we purchased and thank you for the efforts you made to ensure the delight.